The cables are designed for connection between switching centers and equipment shelters along the trackside. 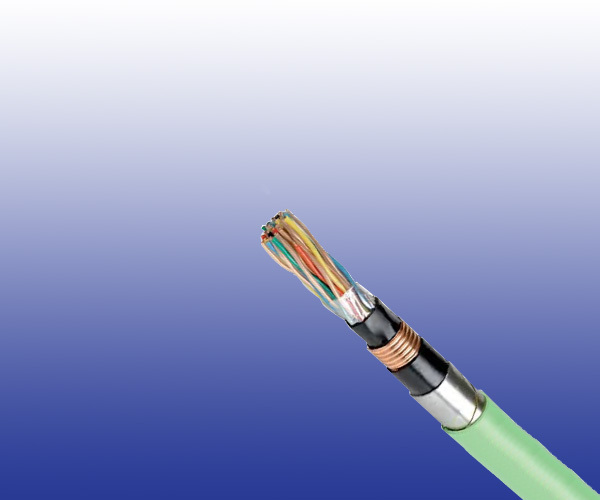 The cables are used as main signalling cables specially designed to give good induction protection (R.F=0.24 at inductive voltage 170 V/km) and are suitable for installation in intercity railways electrifi ed at 25KV ac..
Conductors Class 1 solid bare copper conductor. Insulation Coloured cross-linked PE insulation. Electromagnetic Shield Two helically applied steel tapes. Outer Sheath Black unleaded PVC (SXCAV) or green halogen free (SXCAG) sheath.